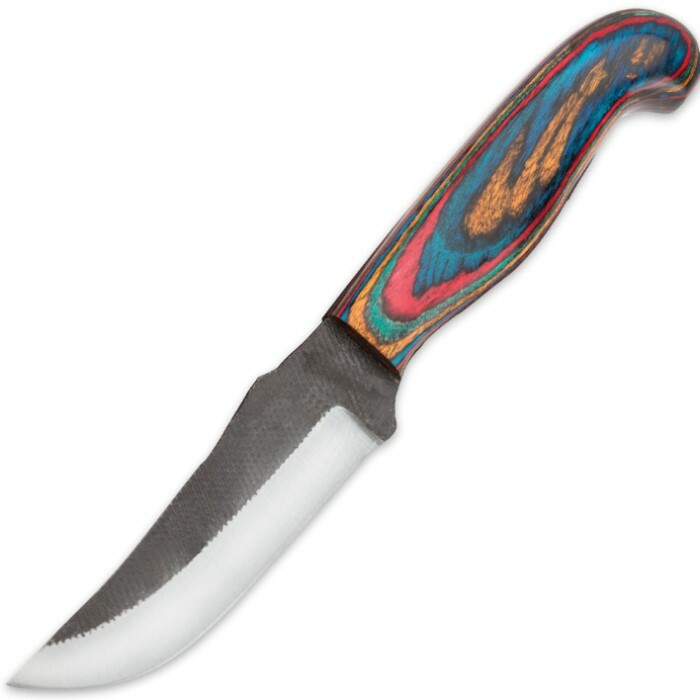 Timber Wolf Colorful Stripes Fixed Blade Hunting Knife With Sheath | BUDK.com - Knives & Swords At The Lowest Prices! 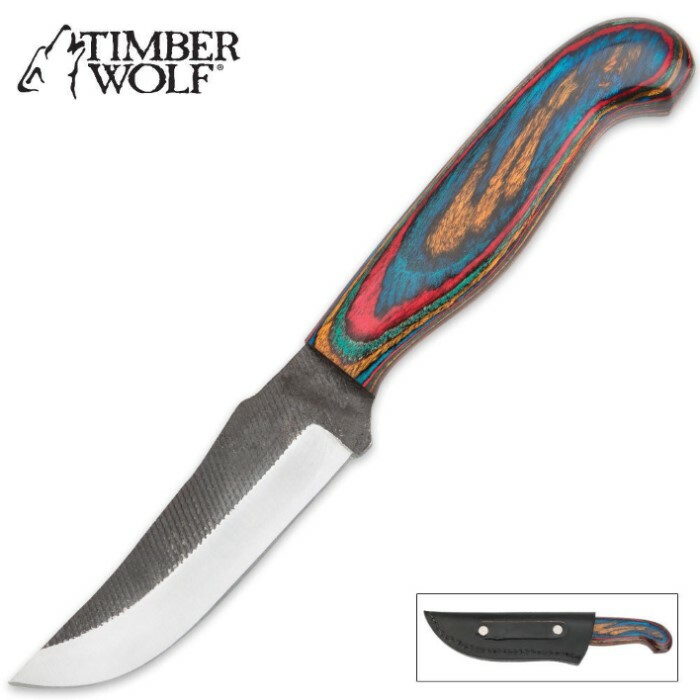 This latest offering from Timber Wolf brings you quality and style at an affordable price. The hefty 4-1/4" drop point blade makes this knife the perfect accessory for all your hunting applications. The colorful pakkawood handle has a smooth finish and intricately inlaid spacers for a custom, one-of-a-kind look and feel. It's an ideal size at 8-3/4" in overall length. Includes custom sheath. Overall, I am pleased with this knife. The blade is of decent quality, and the handle is comfortable. I am a little disappointed in that there is a chip in the palm swell of the handle. I bought this to be the first fixed blade knife for my 12 year old son, so it won't be perfect forever, but I did expect to hand him a blemish free knife.